Today I received in the mail my latest Family Circle magazine. 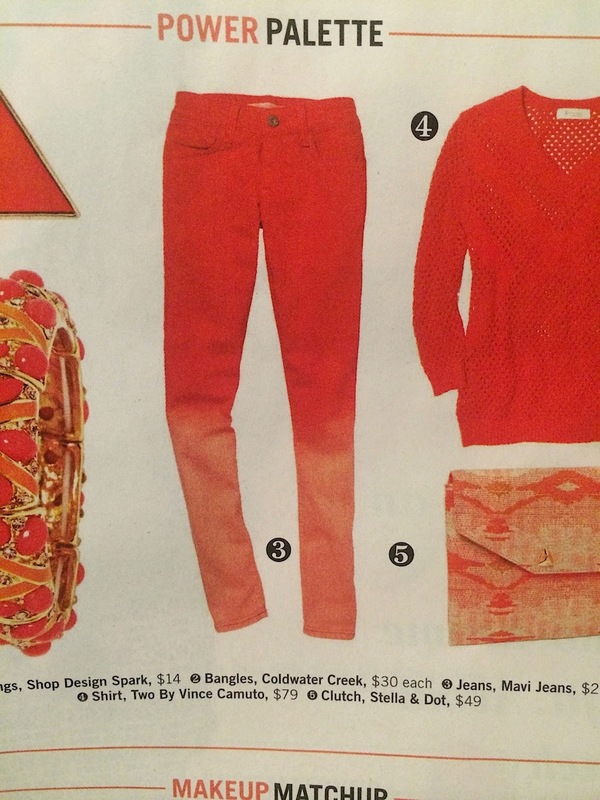 While flipping through the pages, I came across this page talking about color tends in clothing. The colors didn't turn out as true as I'd like, but they are Calypso Coral and Crisp Cantaloupe. I didn't have any Crisp Cantaloupe ribbon, but did have a piece of the 5/8" Organza ribbon that I had colored using the Stampin' Spritzer, rubbing alchohol and re-inkers. It worked perfect for this card. 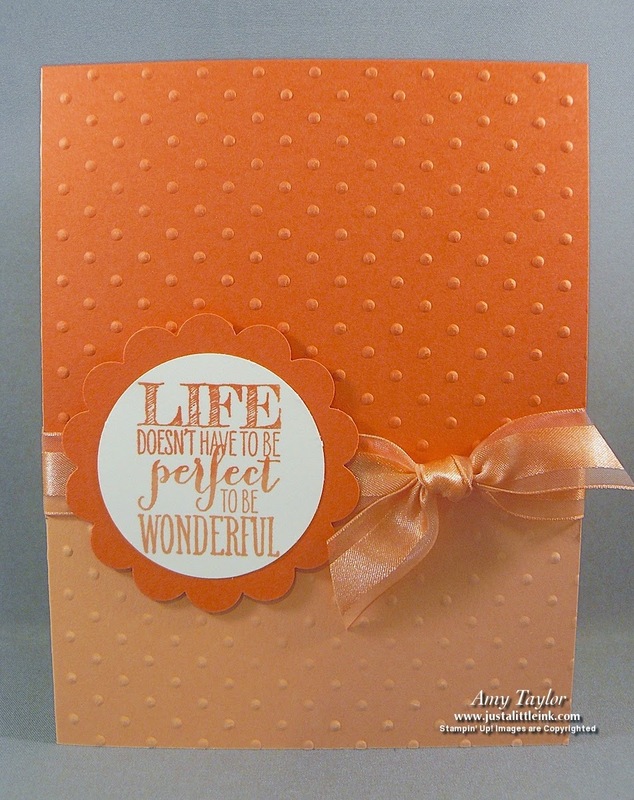 The stamp is from Perfect Pennants that you can find in the Occasions Catalog. Retired List & Free Shipping!